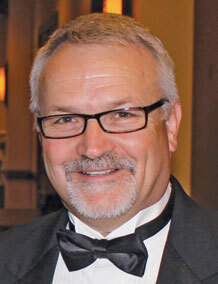 Ken Barron was promoted to purchasing manager – North America for Tulsa, Okla.-based Clear Edge Filtration. Barron’s territories include Minneapolis, Tulsa, and Monterrey, Mexico. 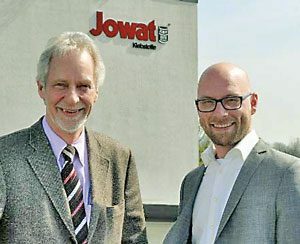 Tim Görder has been named global director of Solution Partner Support at Jowat SE, Germany, effective June 1. 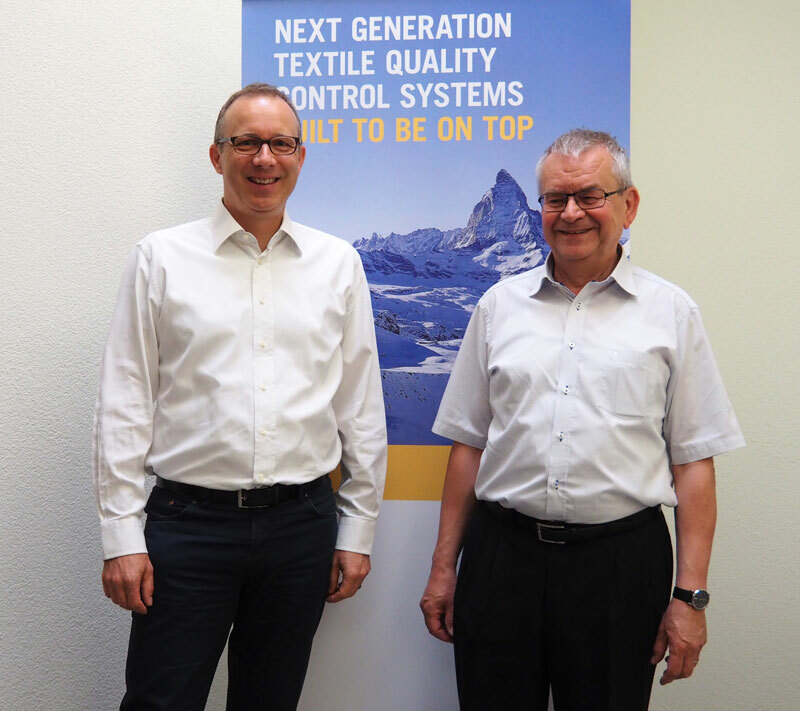 He replaces Manfred Kubo who is retiring after 17 years with the company. Görder will be responsible for coordinating support offered to solution partners globally. 4M Carbon Fiber Corp., Knoxville, Tenn., has named Rob Klawonn CEO. He will lead the company as it commercializes its carbon fiber production technology. Custom-made menswear producer J. Hilburn, Dallas, has named Andy Janowski CEO. The Industrial Fabrics Association International (IFAI), Roseville, Minn., has announced Steve Schiffman will succeed Mary Hennessy as IFAI president and CEO. After serving the organization for six years, Hennessy is set to retire June 1. John Hrdlick has been promoted to president and COO of INX International Ink Co., and Bryce Kristo was named executive vice president and CFO. To ensure a smooth transition, Rick Clendenning will continue as CEO for the remainder of 2018. Terri Kelly, president and CEO, W.L. Gore & Associates Inc., Newark, Del., has been named the 2018 Executive of the Year by Arizona State University’s W.P. Carey School of Business. She was presented the award at a luncheon honoring her proven performance and global leadership in a team-based, highly collaborative culture. The Research Triangle Park, N.C.-based American Association of Textile Chemists and Colorists (AATCC) has renamed its annual AATCC Foundation University of Rhode Island Scholarship after Professor Dr. Martin Bide. The newly named AATCC Foundation Martin J. Bide University of Rhode Island Scholarship honors Bide’s distinguished career, which includes research into sustainable textiles and biomedical materials. Switzerland-based Loepfe Brothers Ltd. has named Daniel Link CEO. He replaces Maurizio Wermelinger who has retired. The Board of Directors of Raleigh, N.C.-based SPESA — the Sewn Products Equipment & Suppliers of the Americas — recently approved the hiring of Michael McDonald as executive director. McDonald will work closely with current president Benton Gardner and managing director Dave Gardner until their retirement at the end of 2018. McDonald will assume full management responsibilities for the organization in January 2019. Richard Altice has joined Minnetonka, Minn.-based NatureWorks LLC as president and CEO. He replaces Marc Verbruggen who recently retired. Valdese, N.C.-based Valdese Weavers has promoted Ann Reynolds to vice president of design. She will oversee the styling of multiple product lines including Circa 1801, Valdese Weavers Residential, Dicey Fabrics, as well as the new Inside Out and Sustain performance brands. Delta Galil Industries Ltd., Israel, has named Tim Baxter CEO of Delta Galil Premium Brands, responsible for 7 For All Mankind® and Splendid®. Nike Inc., Beaverton, Ore., has named Rosemary St. Clair vice president, general manager of Global Women’s; and Cesar Garcia vice president, general manager, Global Running. Greensboro, N.C.-based VF Corp. has appointed Steve Murray to the newly-created position of vice president, Strategic Projects. Murray is part of the company’s Senior Leadership Team and reports to VF’s Chairman, President and CEO Steve Rendle.